For those shopping for a mortgage, it can be pretty difficult to determine which company is the best to work with. There are several possible options, including visiting a local bank branch or credit union, surfing over to an online mortgage lender, or getting in contact with a mortgage broker. While each have their pros and cons, mortgage brokers have the advantage of shopping around on behalf of borrowers because they tend to work with a large number of different banks and lenders. This can certainly take some of the legwork out of the home loan process for consumers, but brokers still need to determine who can do what (and where). When it comes down to it, it’s pretty difficult to keep up with the many mortgage programs out there, especially as lenders ease and expand their offerings in light of the new mortgage renaissance. Fortunately, there is now a website geared toward mortgage brokers known as “Mortgage Elements” that keeps track of programs offered by wholesale banks and lenders. The website, which is modeled after the periodic table, though much smaller, allows brokers to quickly determine which lenders offer a certain home loan program. Aside from it being easy on the eyes, it’s also very intuitive and user-friendly. 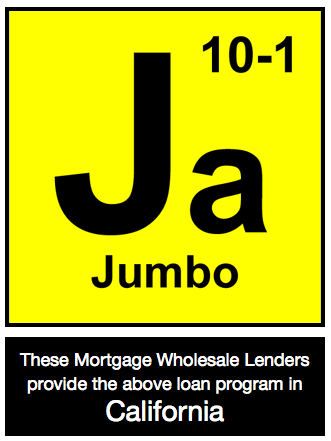 For example, if a broker wants to know which lenders offer 10/1 adjustable-rate jumbo mortgages in the state of California, they need only click on the desired “element” and state. From there, they will see a huge (or small) list of participating lenders, and those they are approved to work with could be a perfect fit for a particular loan scenario. At the moment, Mortgage Elements has the periodic table broken down into fixed-rate programs, adjustable-rate programs, and specialty programs. Within the fixed section, brokers can search by loan type, including conforming, FHA, VA, jumbo, and HARP. It is further broken down by loan term, with anything from a 10-year fixed to 30-year fixed and everything in between. The same goes for adjustable rate offerings, with anything from a one-year ARM to a 10/1 ARM searchable. For brokers looking for a hard-to-come-by product, there is also a specialty programs section. There, brokers will find more niche offerings such as high balance loans, super jumbos, interest-only loans, loans for foreign nationals, second mortgages, streamline refinances, HomePath, HomeSteps, and much more. Once a broker completes a search for a certain product in a particular state, they can select a lender from the list to be directed to their program guidelines and/or company homepage. This beats the old alternative, which was posting loan scenarios in online forums with the hope that another broker would be able to guide others to the right place. Or simply calling lender after lender to determine if they offered “X” program. Mortgage Elements is certainly a good idea, and should make it easier for mortgage brokers to navigate the dynamic home loan market. This, in turn, should also make mortgage brokers more valuable to consumers looking for particular financing, or simply more competitive as they will be able to track pricing from all lenders in a particular niche. 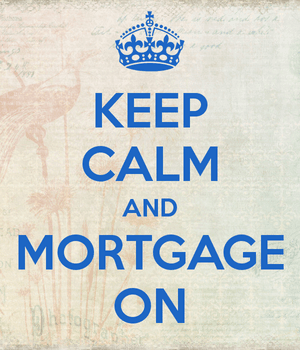 Read more: Can mortgage brokers get you a lower rate? I wish this was around when I was a broker. Would have been a lot quicker and easier to find who did what. I used to just blindly call and ask, or post my loan scenarios in a forum. Oh well. Great idea! I am sure this is going to help a lot of people. Can this service tell me who can finance a non-owner occupied property at 100% LTV?